For use with chassis Z.C. U3611-3860 and Z.D. U3861-4110. 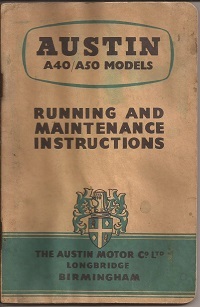 An original maintenance manual in very good condition. Part No. AKD 3685B. Covers engine type 9A and 9D. In fair condition with scuffed covers and some grubby pages. Part No. AKD 1026D fourth edition. 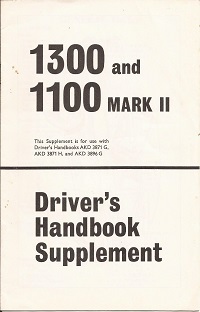 Includes A60 supplement AKD 3107. In excellent condition and perfect for displaying with your show car. Part No. 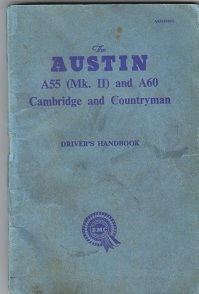 AKD 3909 dated 1963. For 1622 CC cars. In great condition. Ideal for displaying with your show car. Part No. AKD 1473F. Covers the Saloon Countryman and Van models with engine types 9 and 9AB. In great condition and ideal for any top class show car. Part No. 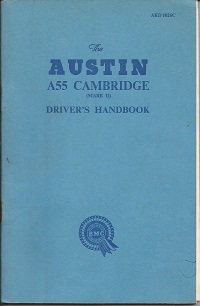 AKD 3921F dated 1967. For engine type D 1098 CC. 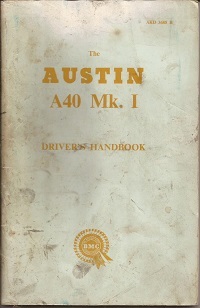 In good condition inside and age related marks to the cover. Part No. 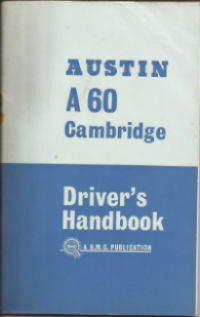 AKD 1026H dated 1963. Covers the Saloon and Countryman 1489 CC and 1622 CC engine. In fair condition an ideal workshop copy. Part No. AKD 3909C dated 1965. 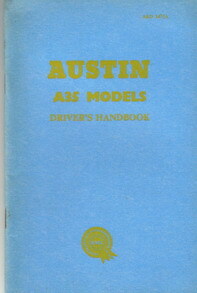 An original handbook in excellent original condition ideal for your top class show car. Publication No. 1100/F dated November 1955. For cars with the 1200 CC and 1500 CC engines. In fair condition for its age with damp staining. Part No. 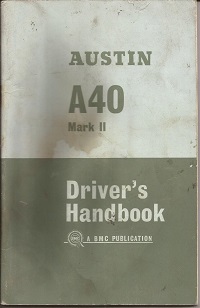 AKD 1026C fourth edition. 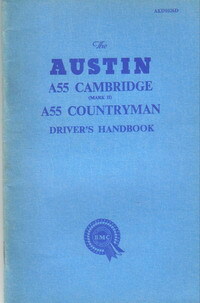 Includes Countryman supplement AKD1632. 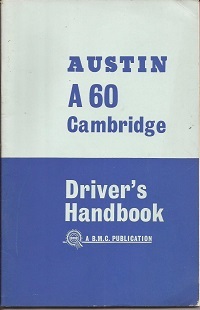 A top class handbook In excellent condition. Part No. AKD 1026K dated 1964. For Saloon and Countryman. 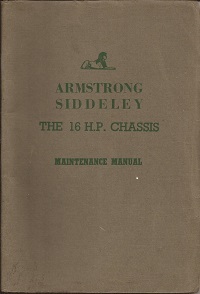 In fair condition with grubby covers - an ideal workshop copy. Part No. 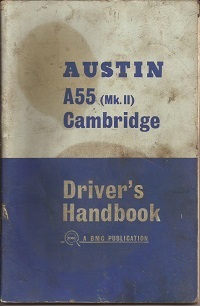 AKD 4956 dated 1967. For the Super Deluxe Saloon engine type 12H 1275 CC. Others available please ask.